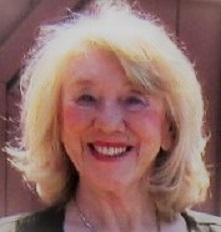 Passed peacefully at the Health Sciences Complex on February 12, 2018 surrounded by her loving family Elinor Christine Udell, age 70 years. Predeceased by her parents Rita and Alec Udell. Left with fond and loving memories her sisters Margie Winter (David), Joyce (George Lepage) and Janice; nephew Michael Winter (Kate Dorzinsky), and many other relatives and friends. Cremation has taken place. Relatives and friends may visit the family at Carnell’s Funeral Home, 329 Freshwater Road on Wednesday, February 14, 2018 from 2 – 4 pm and 7 – 9 pm. Funeral service will be held from Gower Street United Church on Thursday, February 15, 2018 at 2:00 p.m. Donations in her memory may be made to Gower Street United Church Memorial Fund. Elinor, was a wonderful lady. My co-workers and I would always see her and have a chat with her when she stopped by work. We were all very shocked and saddened to learn of her passing. God Bless from the staff of Howley Estates. Heartfelt Condolences so sorry for your lost. Margie- sincere condolences on the passing of your sister. My thoughts are with you as you say good bye to your loved one. So saddened to hear of Elinors’s passing. Thinking of you during this difficult time. My thoughts and prayers are with you. Dear Margie and family. We are saddened to hear of Elinor’s passing. She was a kind, gentle and caring woman. She was an active member and tireless volunteer. We spent many fun and carefree hours in her company at Bally Haly. Elinor will be missed and very fondly remembered. We are so saddened to hear this news. Elinor was a delightful member of the club. She will be missed. We were curling friends of Elinor and are saddened to hear of her passing. Our condolences to you all at this terribly sad time. Like a lot of the girls, I met Elinor at Bally Haly many years ago! At The Womens’ Golf Invitational she always did the most beautiful basket. I thoroughly enjoyed her little speech about the background of the theme she chose, always very interesting! I will miss her part of our event and I will miss Elinor! We all will at Bally Haly! My sincere sympathies to her family. Sending our deepest condolences on the passing of Elinor. Thinking of you all during this sad time. It was nice to have known her she was a lovely person. Prayers are with you all. So sorry to hear of elinor’s passing. My prayers are with the family at this sad time. I have fond memories of Elinor and you girls from when I stayed with your parents while attending university. Wishing you peace to bring comfort,courage to face the days ahead and loving memories to forever hold in your heart. Sorry to learn of Elinor’s passing. We have many fond memories of golfing and curling with her while we were at Bally Haly. Our thoughts and prayers are with the family as she ascends to her greater reward. I send my condolences to you. I have known Elinor for the past 5 years and feel blessed to have experienced her kind and gentle way. My thoughts and prayers are with you. To Elinor’s family – we were shocked and saddened to learn of Elinor’s death. She was a part of our ‘church family’ for many years at Gower and we always looked forward to our chats when we returned to Gower. Our thoughts and prayers are with you all. Sincerest sympathy. Joyce and Janice, So sorry to hear of your sister’s passing. Thoughts and prayers are with you and your families. Very sorry to hear of Elinor’s passing. We knew her thru curling at Bally Haly and her many hours spent organizing Little Rocks. She was always so kind and wanted to ensure the children had great curling lessons. May she rest in peace. We are saddened to hear of Elinor’s passing. We will miss the weekly chats across our adjacent pews on Sunday mornings. This was especially so in recent years when Elinor paid special attention to our little grand-daughters. May many memories sustain you in your sadness. We knew Elinor when we worked at the CRA. Sorry to hear about her passing. We hope that fond memories will give you comfort and strength at this difficult time and in the days ahead. SO SORRY to get this shocking news I am in bangkok travelling to singapore and then on a 14 night celebrity millenium cruise.Then we stay in hong kong fly to Shanghai and tour and finally onto Beijing and home march 15. I am sad to be losing one of the best friends I have ever had. We SO enjoyed our times together. She will live on in my heart forever. I am so sorry to here that Elinor has passed away .i was a childhood friend of hers when she made many visits to Carbonear to visit aunt Mary and aunt Dolly Udell in the summer . We had great times together in the attic hiding from aunt Nell in the large boxes of clothing and time we spent on the beach behind the house .please accept my deepest condolences. Linda Penney (daughter of John C. and. Vera Penney .) Payne. We are sorry to learn of Elinor’s passing .We met her in Brigus many years ago .Thinking of you and your family at this sad time . Please accept our sincere sympathy from Calgary. Elinor and Margie attended Holloway School and Prince of Wales. They were close friends for years. We run into each other when visiting home. lunches with her and your mother in Siesta Key, FL. Margie and family – so sorry to hear of your sisters passing. Sending sincere sympathy to you all. So sorry to hear of the passing of Elinor. Went to Holloway school and Prince of Wales college with Elinor. Attended many school dances with her and the crowd.very sad today in halifax. So saddened to hear of Elinor’s passing. She was always so kind and gentle. Sorry to hear that Elinor had passed. I knew her at CRA and always enjoyed a chat when we met at Gower Street Church functions. My sincere sympathy to her family. I know how close the two of you were and I am sure that you will miss her constantly. Thinking about you. Take care. Margie I am so sorry to hear of the passing of your sister Elinor .Please accept my condolences to you and your family . We are sorry to learn of Elinor’s passing. She will be missed at Bally Haly. May your memories be a source of comfort to you. We have been neighbors for the past few years and attended high school together.